what is inside rose tamarind ? Remember the first time somebody told you roses were edible, you said, "I knew it!" and immediately rushed into the garden? *crickets chirping* No? Must’ve been just us. Sorry. Ahem. 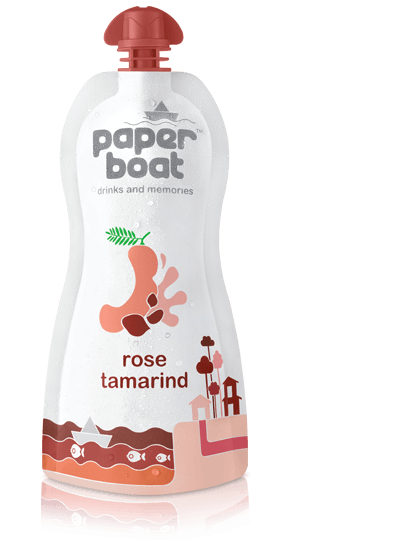 So… Rose Tamarind. A drink where you don’t just drink the drink – you also drink in that delicious fragrance. You know how when you smell a smell so good, you want to eat it? Rose Tamarind is just that. It’s a dreamy love story between a bed of roses and our familiar Imli ka Amlana. It’s sweet, it’s tangy, it’s refreshing, it’s timeless. It may also be one day played by Shah Rukh and Kajol. Rose Tamarind aka Rose Tamr-Hindi traces its roots back to Syria and is a favourite during the strenuous hot season of Ramzan. In Syria, traditionally, vendors strap a matka-like-container of this drink onto their backs, and stroll the nooks and nakas of the cities in the evenings after sundown, serving it to Rozedaars everywhere. So charming and (aptly!) sweet, no? After fasting for a minimum of 14 hours, in the height of summer, going about your tiring-as-usual day, the first thing you’d reach out for? A glass of something chilled, something utterly hydrating, something that puts the F5 back in the refresh button. That’s exactly what Rose Tamarind is. While the fragrance itself does a great job of cooling you off, Tamarind brings excellent digestive properties to the dining table, making this a great pairing with the essentially heavy foods atypical of iftaar.